The following article is a recap of the event. If you arrived here in error you can click here to view our massive inventory or give us a call at (800) 680-0835. If you prefer email or text you can reach out to our World Class Internet Department with this form. 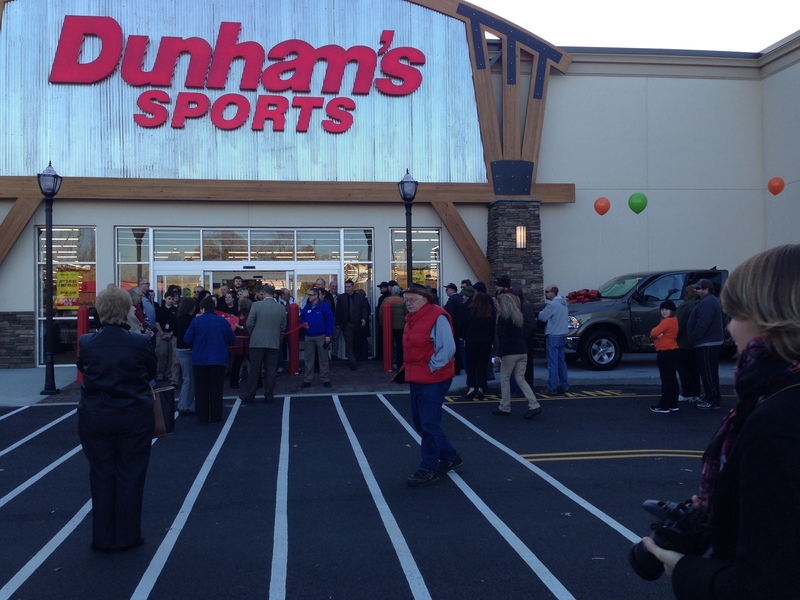 On November 21st, 2014 Hendersonville Chrysler Dodge Jeep Ram and the Hendersonville Community turned out to welcome Dunham’s Sports to the area. 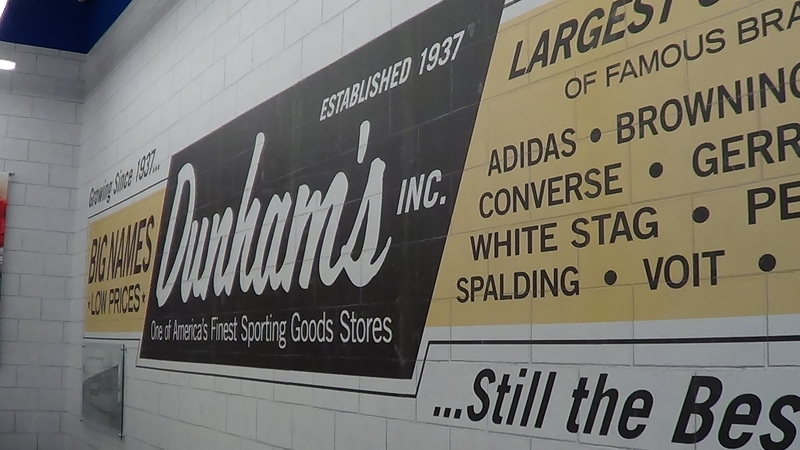 Dunham’s Sports is now open at 1800 Four Seasons Boulevard Hendersonville, NC 28792 in the Blue Ridge Mall. Their regular store hours at Sunday 10:00AM to 6:00PM , Monday through Friday 9;00AM to 9:30PM and Saturday 9:00AM to 9:30PM. If you’re looking to contact them their number is (828) 698-7730 and their main website is www.dunhamssports.com. We thought it would be a great way to show our support as well as help make Christmas shopping a little more enjoyable if we held a drawing for some Dunham’s Sports gift cards. For the first four days Dunham’s Sports in Hendersonville was open we had open registrations to enter the drawing. We had a Grand Prize of $250, Runner-Up of $100, a $50 and four $25. On Tuesday, November 25th, 2014 we arrived at the store to meet with the Store Manager, Rebecca to draw the winners. Joby Stephens, Sean Fitzpatrick and yours truly (Jason Gibson) from Hendersonville Chrysler Dodge Jeep Ram met at the store around 1:00PM and set up the camera to record the drawing. We then posted it to our the WNC Powerhouse YouTube Channel and sent the video to our winners. Check it out below. Once again, all of us here at Hendersonville Chrysler Dodge Jeep Ram would like to welcome Rebecca, her team and Dunham’s Sports to the Hendersonville community and are thankful that we are a part of the Dunham’s Sports Hendersonville Grand Opening. Hendersonville Chrysler Dodge Jeep Ram is located at 401 Duncan Hill Road Hendersonville, NC 28779 and is a leader in new Chrysler, Dodge, Jeep and Ram vehicles in Western North Carolina. They are also a proud member or Autostar USA, the massive, quality pre-owned vehicle network, home of the Autostar Certified Preowneds.